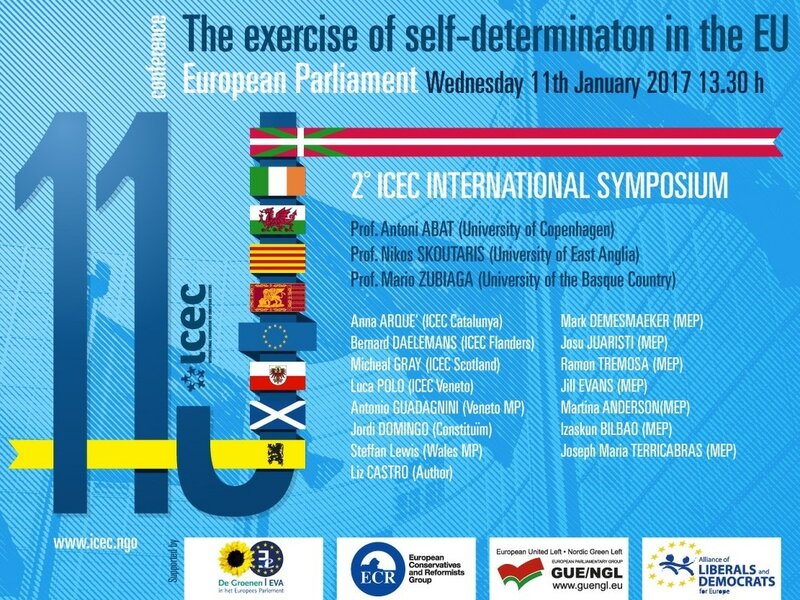 Last year (December 2015), ICEC organised the 1st part of the symposium focused in “The implementation of Self Determination in the EU”. 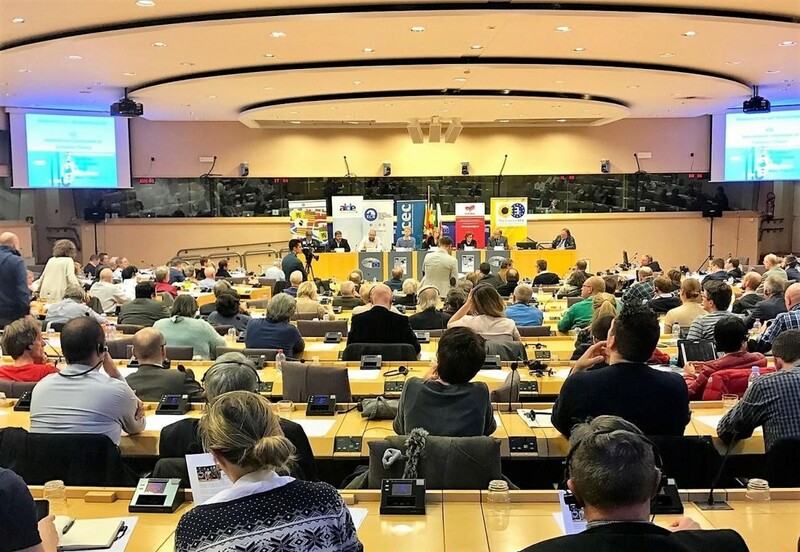 Sponsored by NVA and BILDU European groups, and gathering academics, politicians and activists, speakers underlining a strong understanding of Democracy. Democracy, not only as a result but mainly as a method of doing politics based on citizenship participation. This year’s conclusion included (1) the legality of a democratic result – whatever challenge might seem to mean to the current states “statu quo”- and (2) the legality of a natural unilateral exercise of Self- determination. 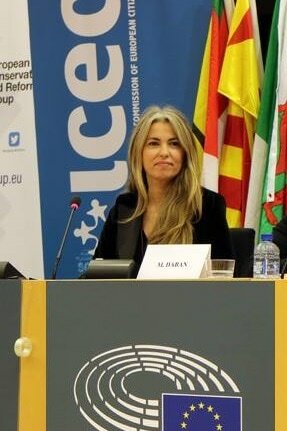 Arqué exposed the positive recognition that Catalan people do of themselves as a nation/People, acknowledge their rights as European people and their determination to exercise them. “The exercise of Democracy can never be punished by European institutions with the expulsion from them of millions of European citizens, that would erase all ethical backbone to the common European project and be the end of the EU. We do not ask EU Institutions to express their support for Scottish or Catalan independence but we do expect them to act as a warrant in favour of the exercise of universal rights in front of any obstacle or threat expressed by any member State”. “The unilaterality, understood as legislating a own norm and enforcing it, it doesn’t only predisposes an illegality, but it is a defining and essential characteristic of legal norms. In this meaning the difference between a norm and a legal norm is its enforceability. Unilaterality involves an act of sovereignty necessary to consider the norms as law. Indeed, s’ tried not to apply the norms of international law and human rights which include the principle of self-determination to deny its legality. When Catalonia, it is relaunched a referendum agreed with the state and this one not only doesn’t negotiate, but applies criminal law and repression against legitimate representatives of Catalonia, the only possible solution is a referendum in unilateral form. 1 Ikus http://www.icec.ngo/ —> ICEC News.